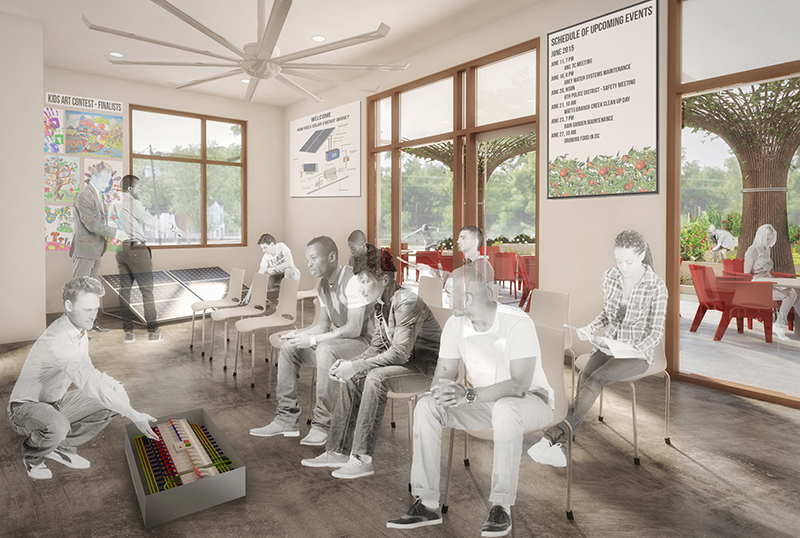 This project was a response to the 2015 DC Affordable Living Design Competition, a progressive and innovative challenge in the realm of affordable and sustainable housing, which Hickok Cole received an honorable mention. For this challenging competition, the team synthesized extensive research into climate, community, and urban planning with an integrated design process focused on continually reassessing costs, architectural design and engineered systems. 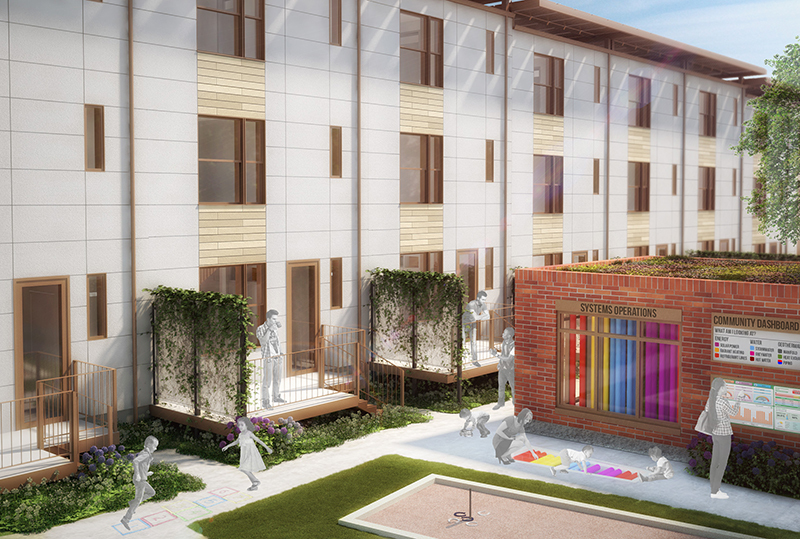 This effort transcended meeting the Living Building Challenge requirements and created a new model of developing affordable housing in the District of Columbia. 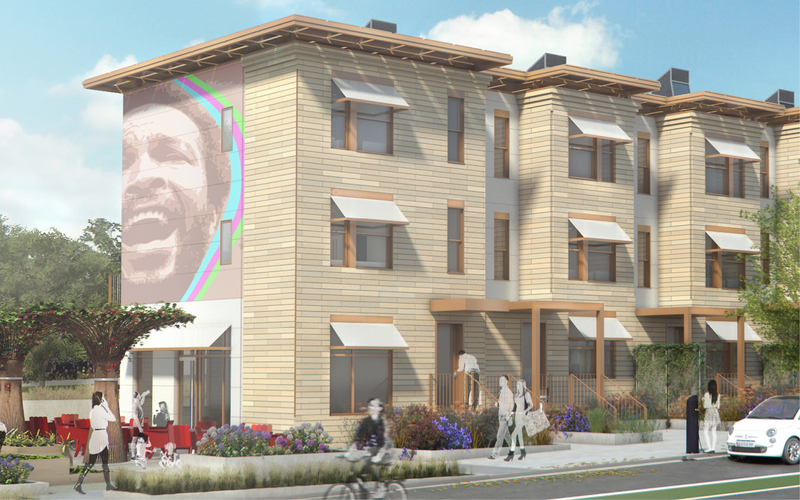 Our team was comprised of Mi Casa, a local non-profit provider of sustainable and affordable housing, Skanska USA, IBC Engineering, and WSP. The process included 3 work charrettes on the topics of place + energy, health + happiness, and water, equity + beauty. What’s Next? We are actively seeking partners to continue this work. Knowledge from this study led us to apply for and receive multiple District of Columbia Department of Energy & Environment (DOEE) grants to investigate how large track developments in Washington, DC can meet high sustainability targets and to complete a feasibility study for Kingman and Heritage Islands to enhance their environmental and societal benefits to DC.